Left parties across India, on Thursday, will stage agitation at the historic Jantar Mantar, New Delhi, to protest against the Centre's 'unethical crackdown' on five right activists, who were detained over their alleged connection with Bhima-Koregaon violence in Maharashtra on January 1. "There will be a protest at Jantar Mantar on Thursday by the Left and all progressive groups against the unethical crackdown," Communist Party of India (Marxist) General secretary Sitaram Yechury told ANI. Left-wing parties along with several eminent personalities have been protesting the country-wide raids by the Pune police, terming it a brazen attack on democratic rights and civil liberties. On Wednesday, a group of activists moved the Supreme Court, asking an immediate stay on their arrest. The CPI(M) has also urged the court to withdraw the cases against the activists and release them immediately. 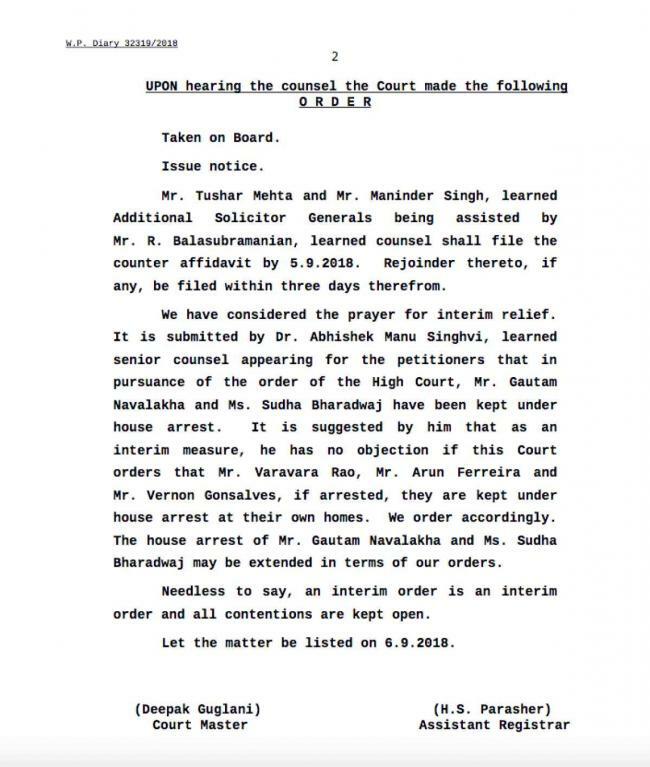 Later in the day, the apex court ordered to keep the activists under house arrest till September 6, 2018, saying dissent was the "safety valve of democracy". They have also issued a notice to the Maharashtra police, seeking a response from the government by then. Following the SC order, all of the activists will be taken to their respective residences on Thursday. On Tuesday, Lawyer and trade union activist Sudha Bhardwaj, revolutionary poet P Varavara Rao, civil rights activist and journalist Gautam Navlakha, and lawyers and activists Arun Ferreira and Vernon Gonsalves were arrested over an alleged Maoist activity, that rocked Maharashtra's Bhima Koregaon on January 1 during the 200th anniversary celebration of a British-era war. There are also reports that all of the five activists had funded the Elgar Parishad conclave in Pune, held a day before the Bhima-Koregaon violence. The police team also searched the residence of Father Stan Swamy in Ranchi but could not arrest him due to lack of evidence. The Bhima-Koregaon violence is believed to be the assassination attempt of Prime Minister Narendra Modi on the lines of former PM Rajiv Gandhi.